Time for another App Review and this time it is a Mac App. In the past I used Teacher Kit on my iPad for recording grades, attendance etc but really needed something on my Mac as well. 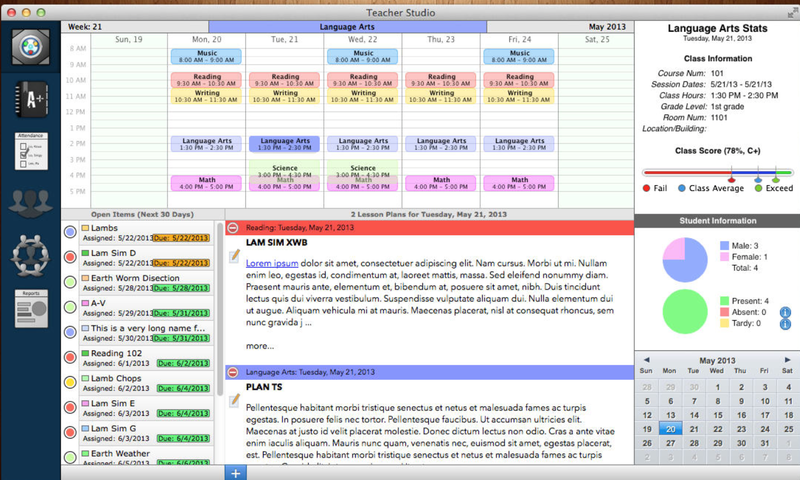 I couldn’t find an App that synched between Mac and iOS (well one that got good reviews) so decided to splash out on Teacher Studio by Lomation which admittedly was pricey at almost $50 but I have never looked back. 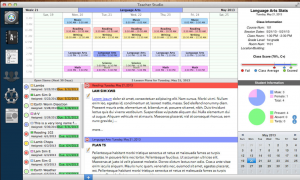 It allows you to store grades, attendance, lesson plans, timetables and notes. When it comes to attendance I like the fact that it has a ‘tardy” option so you can clearly mark students for being in late which is a recurring problem in some of the early morning classes. There is also a line to write notes so if a student is late for a genuine reason you can make note of it. Once a students details are added into the application that student can be added to a number of different classes. Within student settings you can store all contact info as well as emergency contacts and notes. You can also upload their photo which can be handy when grading assignments. Right now I have 7 Darrens in one class and believe me it does get confusing. In another class I have two students with the same first and last names! The one feature I was a bit afraid of was how secure this application would be given all the details stored on it. I didn’t want someone just opening up my laptop and having a peek but don’t worry there is an option to add a password to it which obviously is a bonus feature. The App can also generate reports of class performance and overall student performance. This is not a feature I have used to date but will be using it as I am grading over the next few weeks and look forward to seeing what kind of reports it produces. So yes it is expensive but it works and until there is an iOS and Mac App this will be my go to App of choice for managing student activities. Today’s I am going to review something a little different I am going to review Sphero iOS accessory and the associated Apps. Searching the App store for Apps to review I stumbled across Sphero Apps and at the time was disappointed that they required you to purchase a $100 accessory in order to use them. I was lucky enough to get a present of a Sphero recently and was very excited to download the Apps. Sphero is a round ball which vibrates, changes color, floats in water and rolls around the floor when instructed by an App. It is very interactive and a user has full control over it. There are over 20 different Apps available and they vary from game Apps, music Apps, augmented reality Apps and an App for pets. The augmented reality and pets Apps appealed to me right away and were among the initial Apps I downloaded. The App for animals makes the ball vibrate and roll across the floor. My cat found it a lot of fun especially the boosts which make it move crazily across the floor and the function to change colors. The App did have her amused but this didn’t capture her attention as long as an 80cent feather toy from the pet store. Sharky the Beaver is an augmented reality App and it was also a lot of fun and once you had your little character placed where you wanted you could throw donuts and cakes around the room. This worked very like string augmented reality Apps and was a lot of fun. My favorite of the Apps is Sphero Exile which works pretty much like space invaders and you use the Sphero as a control for it. All in all Sphero is a lot of fun and I am glad I have given it a try. I do think it is overpriced and that $50 would have been more than enough to pay for it. There are a few things that I do not like and this is mainly to do with the Apps. The website is very deceiving and says that there are over 20 free Apps. This does not mean there are 20 free Apps for iOS devices in fact there are actually 7 paid iOS Apps costing from 89cent there are also there are many Apps that are only available on the Google Play store and in reverse many not available for Google Play users. For iOS users there is a total of 18 available Apps 7 of which are free so the claim of over 20 free Apps should really be rephrased. Another thing is the search function in the iTunes store. If you type in Sphero you will not get the full selection of Apps for example Sharky the Beaver is not shown. To get these Apps you then need to search further or look up their names. All that being said if you have the spare cash I would recommend getting one. They are tons of fun for people (and animals!) of all ages. What is Sphero? from Sphero on Vimeo. Although agreeing I must be honest I am neither a parent nor a primary teacher so have no kids to try it out with but have to say I was very impressed. The App is aimed at kids aged 3+ allowing them to create their own books or participate in creating one with their parents, class or siblings. How it works is that the child writes a sentence using whatever level of literacy they might have and then the adult corrects the text for them. The child can then see the difference between the two texts and it helps them in learning new words and creating sentences. It is great for creating accessible creativity. Kids can let their imaginations run wild creating magical worlds and adventures without having to worry about the boundaries set by literacy and spelling while at the same time improving both of these skills through the creative process. Kids would also benefit from it improving their early learning skills as well as getting them involved in reading and writing from a young age. Today’s App Review is Dragon’s Den by 2waytraffic. I have been trying out Apps based on TV shows and while some like The Crystal Maze have been great others like The Cube have been total disasters. Dragon’s Den is a lot of fun. You get to be the Dragon of your choice and entrepreneurs come in a pitch their ideas. You have to decide whether the idea is for you and if so you have to decide what money to offer them and for what %. You also have to compete against fellow Dragons because your investment has to be the most appealing or else you are pretty much out. If you don’t want to invest you can sit it out. Of course I sat a few goldmines out trying to see how it worked and typically my first investment was a total flop and put my bank account in the red. There is also the challenge that after pitching you may be challenged to make a better offer so just when you think you have it you may not. The pitches are fun and the competitions is fun. I can see it getting a little boring down the road but for now I am having a lot of fun making and losing money with the security that it is all virtual so unlike the real Dragons I have no fear of losing real money. There is multiplayer mode so if you have friends with devices you can all battle it out. 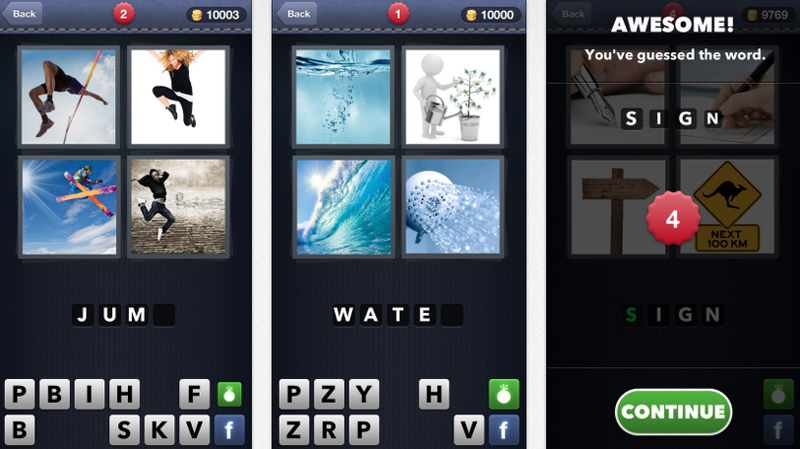 Today’s App Review is 4 Pics 1 Word by LOTUM. I have seen this App appear on the walls of many of my friends social media pages mostly because they are asking for help. This did turn me off playing the App because it did look really difficult to play. However, the other day I gave in and absolutely love it. The App presents you with four different pictures and you have to decide what word describes them all. Sure it is challenging but the App has the right balance in there. Instead of starting off easy and reaching the point of it being impossible to play resulting in my giving up it gradually gets difficult. The good thing though is that if you get a hard word it is usually followed by a few easy ones so that you regain your confidence and forget about the frustration. The words are also universally accessible in that they are mostly simple words like cold, run, jump, climb etc. With similar games I have also encountered issues with a lot of US words being used which is a drawback for international users. There is an option to use points to reveal certain letters but what I have found is that the words often come to you long before you need to do this. If you need help you can also post the picture on Facebook for all your friends to see. This is kind of like an ask the audience option. The one issue that really annoys me are the ads which appear far too frequently. I would gladly pay to remove them but this doesn’t appear to be an option. The game is free and a lot of fun to try out if you want to give it a go you can download it from HERE. 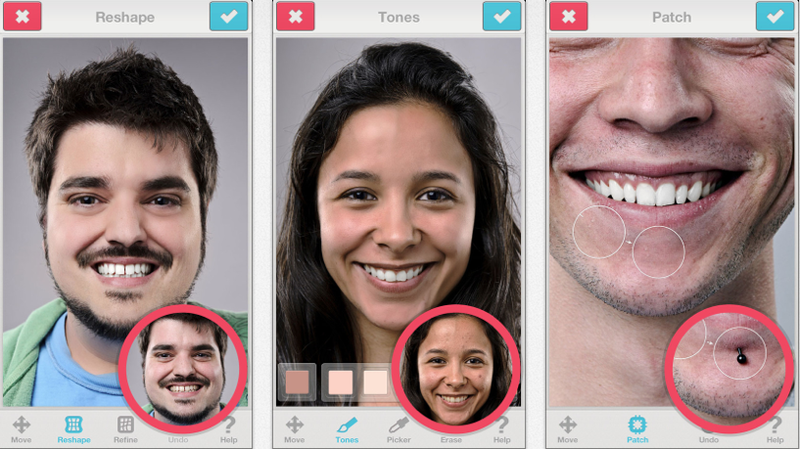 Today’s App Review is Facetune by Zeev Farbman. There are plenty of photo Apps out there that crop, rotate and color edit photos but not very many for touch ups. Factune is an App that does just this. Using the various tools you can get rid of piercings, blemishes, stray hairs and more. You can even banish those wrinkles and gray hairs. You can also remove red eye or change eye color. All you need is a photo and the opportunities are endless. The effects are very realistic and don’t end up looking like you painted all over someones face. My favorite feature is how you can defocus an background so that it is blurry behind a clear face. You can also add filters and effects to the background. Once complete you can share your images on Facebook, Twitter, Instagram, Tumblr, Flickr or by email. The App is definitely got for retouching images and like I said very few Apps can do this realistically. Because of this I was still using Photoshop but this App is faster and produces the same quality results. 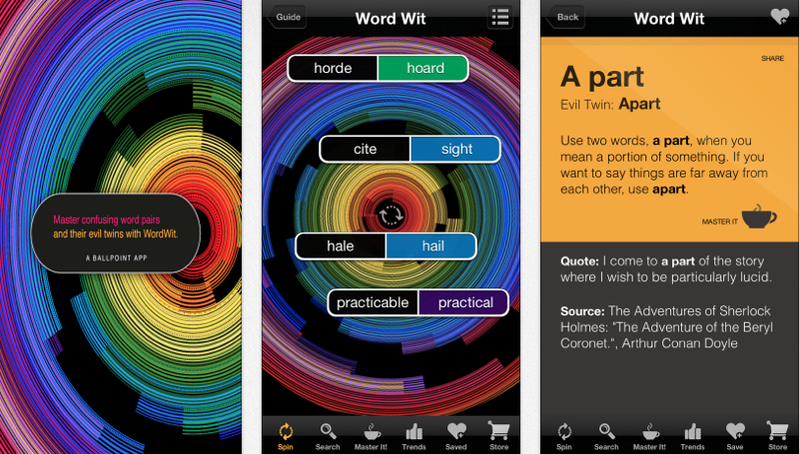 App Review – Word Wit. Today’s App Review is Word Wit by Ballpoint Inc. English is quite often difficult to to understand especially if it is not your first language but even if it is there are always words like their, there, they’re and affect and effect that confuse people time and time again. Word wit is a fun App that illustrates the difference spin the colorful wheel and you are presented with two similar sounding but different words. Once the words pop up you can then click on them to get a full explanation of both words and the difference as well as an example of a sentence the words are used in. You can then choose to ‘master’ a word. When you choose this the App gives you a sentence and you are challenged to choose the correct word. After you get a certain amount of correct answers you then master the word. If you do have difficulties with telling the difference between these words and more this is a great App that will teach you through the fun games and quizzes and even if you think you know it all you can try it out and see if you are good enough to master these words. You can share your progress via Facebook, LinkedIn, Email and Twitter. Today’s App Review is Posing App by Sia Mendo. I have trained and had experience as a photographer so understand how important it is to having poses in mind when going on a photoshoot. Several situations arise when your mind would go blank and you cannot figure out what to do next. The most common issue I had was that a model was in a mood where she just did not want to be there so it was a major struggle getting good photos. Now as a photography teacher I see my students facing the same problems and this App is fantastic to have for those awkward moments or even just to look at beforehand for ideas. The App contains sets of black and white line photos showing different suggestions for poses for all groups of people including children, women, men, couples, groups, wedding and glamour. Each set contains at least 20 different examples so there are plenty to choose from. You can add any ones you like to a favorites folder to access easily later. As an added bonus the App also includes tips and tricks where it advises on different aspects of a shoot from the basics of using lighting to making your model feel a ease. There is also advice on photographing eyes, legs, body, head and hands as well as suggestions on composition and what equipment to use and avoid in certain situations. For examples it tells you the right aperture range to use for portrait shots. The App is definitely an asset to any photographer whether you have been at it for years or just starting out. 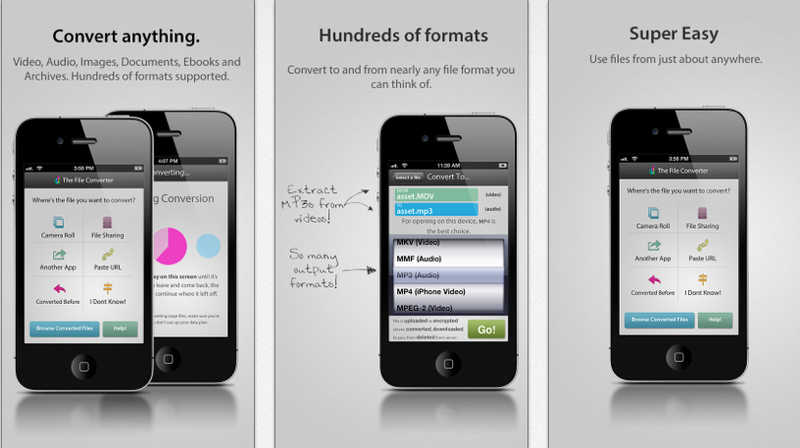 The App can be downloaded from HERE.